Discussion in 'Retail Refillers Forum' started by cabison, Jun 11, 2013. Hi all, I am new to this forum and this is my first post. I am interested to start this business and had been researching a great deal. I like to find out the experiences of those who had started this businesses and noted that they are quite a few members here e.g. savvy5321, inkme etc who had written they are starting and / or had already started this business for a number of years. I like to pm them to ask for and learn from their start up experiences and how their businesses had progressed so far. Unfortunately, I can only pm after 5 posts. Nevertheless, I think it would be great if members are willing to share their start up experiences here or pm me if you would like to share your experiences in private. 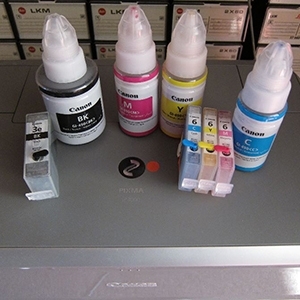 Hi friend, do you mean you would like to start to resell toner and inkjet cartridges? did you do some research in the market of your country? Yes, I like to start this business and had been doing quite a bit of research on it. I am located in Toronto, Canada. While there have been quite a lot of useful suggestions on starting up, there has not been any feedback on what works and what don't during the start up phase. That's why I hope those who had started this biz will share their experiences on what works and what don't for them and learn to apply them where relevant to my location. Thank you for your response and hope to hear more from all the kind souls here in this forum. if you care to look into the inns and outs of starting up a refill business. Below there are a half dozen links for you to browse and a couple of hundred more besides. and run a successful outlet forget it its not going to happen. and if you dont have that initiative now, well I'll say no more.